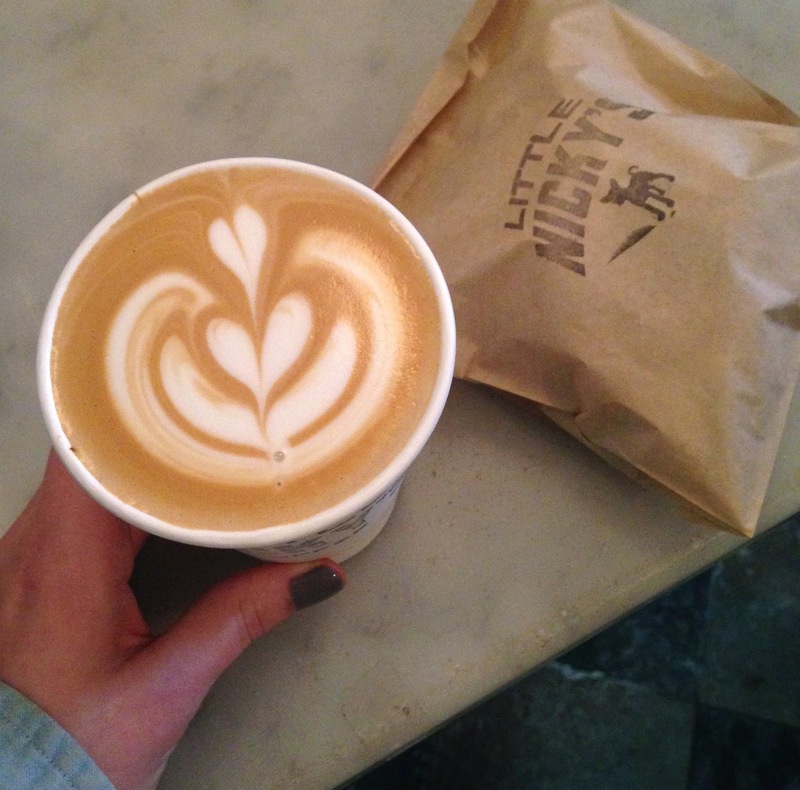 I stopped by one of my favourite coffee shops in Toronto yesterday called Little Nicky's. It's right off a little side street on Queen street and it's the most quaint cafe thats always busy. My sister Morgan was the one that introduced me to the cafe, and since then its become one of my favourite. Everything from their lattes, coffees and homemade fresh mini donuts are so delicious. Yes, I did say homemade mini donuts. They're tossed in sugar and made right in front of you. Nothing is better.